One option for improving a process is to introduce elements of automation. Yet automation is rarely a ‘silver bullet’, and in order to be effective it’ll be necessary to truly understand the process. 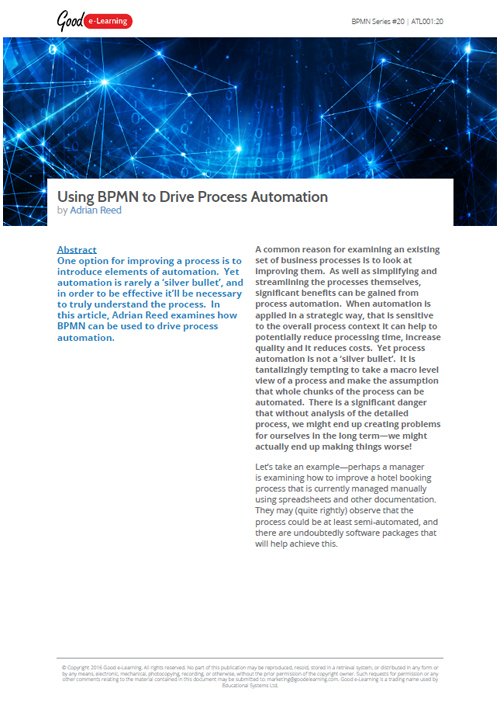 In this article, Adrian Reed examines how BPMN can be used to drive process automation.